Youth Search and Rescue (YSAR) uses innovative technology in search and rescue and emergency management. "I can’t sufficiently overstate the value of the support Eagle Technology has given to us over the years. I hope it’s a mutually beneficial arrangement. 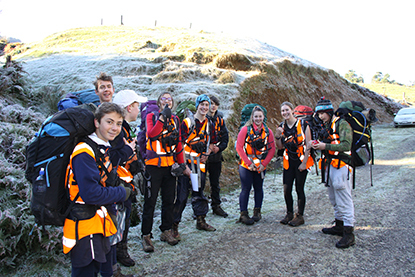 We’re testing the equipment in new situations and providing valuable feedback.’"
Abstract: To keep its young people safe when training in diverse outdoor environments at night, Bay of Plenty’s YSAR (Youth Search and Rescue) needed an ‘out-of-the-box’ live tracking system that was totally reliable and functional when students were off the telecommunications grid. In the areas in which they operated for search and rescue there was often no cellular network coverage. YSAR needed to be able to conduct rescue operations with more effective communication. The system also needed to be easy to operate by non-technicians. 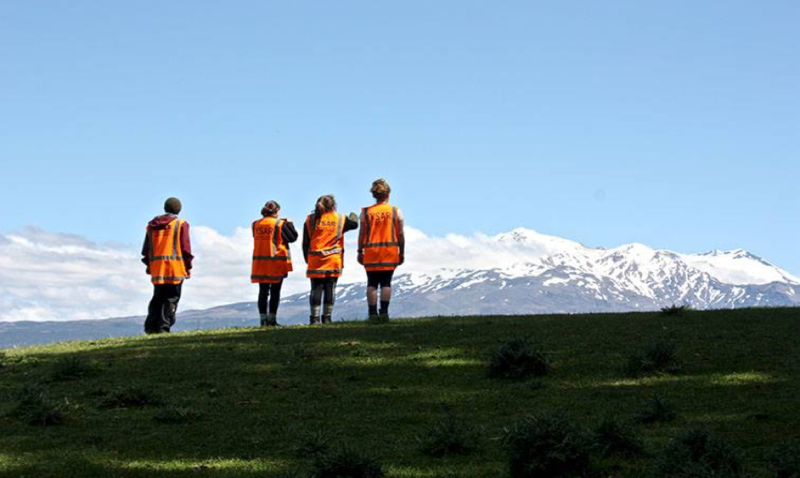 To keep students safe when undertaking a search and rescue programme in outdoor environments. To increase the speed and accuracy of search and rescue. To save lives and rescue people who are injured and lost faster and more effectively. The ArcGIS platform enables pre-planning, populating maps with information collected and recorded from the field. This includes hazards, decision points, huts, hunter trails, etc. Conducting spatial analysis includes cross-country movement showing how far someone can travel in specific timeframes. The Sitaware Command and Control software enables secure live tracking of students in the field to increase safety. It also allows secure communication between the controllers at base/HQ and those in the field, enabling the ability to send/receive/update written instructions, map plans, images, text messages, and voice instructions. This increases safety, speed and accuracy in rescue situations. 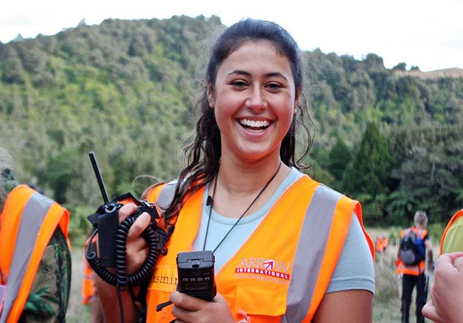 The Tauranga Youth Search & Rescue programme is an independent non-profit organisation which aims to enable teenagers to develop the necessary skills to participate in becoming full active members of community volunteer search and rescue and civil defence emergency management. YSAR’s 1600-hour three-year training programme is delivered in the evenings over three years to 22 selected high school students by skilled trainers with backgrounds in emergency management search and rescue, military and medical backgrounds, outdoor education specialists, police officers and firefighters. Following graduation from the YSAR programme, each member can operate safely and effectively for up to 48 hours in the field by applying current search theory and practice. Graduates can also lead complex response operations for search and rescue and emergency management. The course opens up career pathways for students in related organisations and education facilities. To date over 225 students have been successfully trained by YSAR. YSAR was established in the Bay of Plenty in 2009 by Steve Campbell to address the aging population of the community volunteers in the search and rescue and emergency management sectors – areas in which Steve had considerable experience. The challenge was to set up a safe way of training teens aged 14-18 in diverse outdoor locations. What was required was a live tracking system to enable students’ locations to be precisely identified whenever they were out in the field. In 2009 Eagle Technology provided YSAR with Esri’s ArcGIS, which enabled live tracking of students in the field and 3-D mapping of their locations back at operation headquarters. In the field communication was via voice only. By 2015 YSAR was ready to extend the solution capabilities. Land Search and Rescue were also becoming nervous about the prospect of students being involved in real-life rescues. YSAR needed a tool not only to keep its students safe but also to improve its search and rescue capabilities. The Eagle Technology team recommended extending the existing system with Systematic’s SitaWare Command and Control (C2) software. It had web and server components plus add-ons for mobile devices. This would offer YSAR a full secure two-way communication facility that included imagery, messaging, plans and reports over radio, cellular or wifi networks. Adding chat, imagery and mapping transference to radio and voice communication was an exciting new development for YSAR. ‘The C2 software works in conjunction with GIS, which provided the base mapping, facilitated pre-planning with lost-person behaviour analysis and terrain modelling to help identify where the lost person would most likely be found,’ says Steve. Search operations are usually fluid. Information received from the field can alter a search. The Command and Control technology offers YSAR’s ops headquarters the flexibility to manage and deploy students out in the field more effectively. It enables enhanced student protection in the field, more effective exchange of information, quick distribution of instructions and messages, faster coordination and shared situational awareness. In the field the students use a digital radio and a smart device – an android-based smart phone or tablet (Windows or android). These are blue tooth networked to their radio. Data is transmitted over a radio network. Students can see a live operational view on their smart devices. There’s also a tactical live tracking layer so students can identify in real time where other teams are located in relation to them. Operation headquarters can send instructions to them via a chat session. Students can also receive complex search patterns and images layered onto the maps. There is now the potential for senior students to become involved in real-life searches and to be deployed strategically where there isn’t a great risk to their own safety, physically or psychologically. YSAR works in conjunction with and alongside Land Search & Rescue and Civil Defence Emergency Management response services, but operates independently. 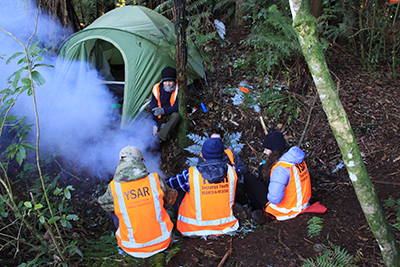 YSAR has operated solely from Tauranga since 2009, reliant on donations, partnerships and sponsorship, as well as on over 20 passionate volunteers. Now YSAR Bay of Plenty is expanding its reach in 2017 by setting up as a national entity to provide other regions the resources and administrative capacity to start up similar groups in 2018. The challenge for Steve is to replicate YSAR’s three-year training programme delivering proven 170 two-hour youth training modules nationwide. SitaWare makes it possible to create a national server that other groups around the country will be able to access. All training modules will be managed at a national level to ensure training material is standardised. ‘I can’t sufficiently overstate the value of the support Eagle Technology has given to us over the years. I hope it’s a mutually beneficial arrangement. We’re testing the equipment in new situations and providing valuable feedback,’ says Steve. YSAR and Eagle are also making plans to integrate drone and infra-red technology with SitaWare.